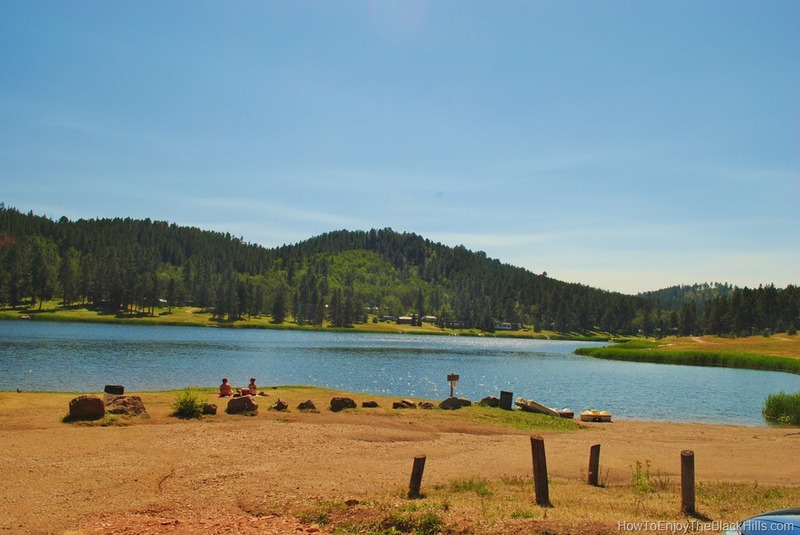 Iron Creek Lake and Campground is a popular get away for Spearfish Residents. This little 24 acre lake is a great place to cool off in the summer. There is a small beach and a mile long trail that circles the lake. A great place to spend a summer afternoon. Over the years, the lake has been stocked with rainbow trout. There is a small boat ramp, but the lake is a “no wake lake.” Many people report the shore fishing is good. If you plan on doing more fishing in the Black Hills I encourage you to pickup a copy of South Dakota Fishing Map Guide it is loaded with maps, directions and tips for the various lakes and reservoirs. There are twelve cabins for rent at the lake. They have electricity, small refrigerator and picnic area outside. Bedding is not included, so be sure to bring your sleeping bag along. Tent and RV campers have several spots to choose from. There is an extra charge for electricity and if there are more than 4 people camping. View the campground map to locate your perfect spot. Just north of the lake is the Big Hills Trail and to the south is the Old Baldy trail. And, the area is close to all the hiking options in Spearfish Canyon. I highly recommend you purchase Black Hills – Northeast, South Dakota Trails Illustrated Map #751 . The map will help you locate Iron Creek Lake and all the nearby trails clearly marked. 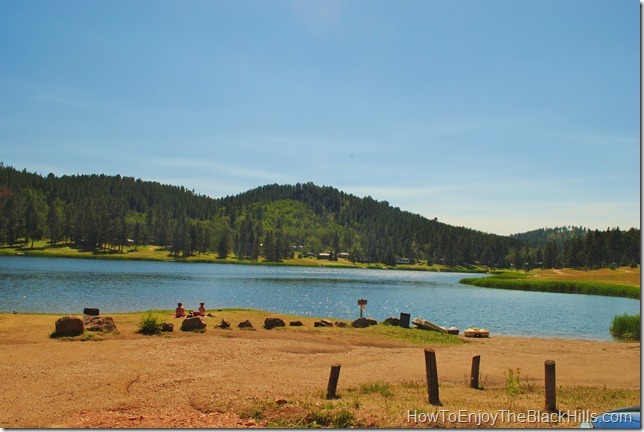 You will find the lake 13 miles south of Spearfish on Tinton Road (forest service road 134). It is all gravel from Spearfish and may not be appropriate for motorcycles. To learn more visit the Iron Creek Lake website. Or visit my Black Hills Map for area attractions.